Chifley Apartments Newcastle is ideally located in the heart of Newcastle on the Hunter Coast. The property boasts modern and spacious self-contained apartments, making it the perfect base to explore the beauties of this Central New South Wales Coast region. Located on the outskirts of town, Crown on Darby offers a relaxing range of self-catering accommodation within walking distance of Centenary Antique Centre and The Junction. 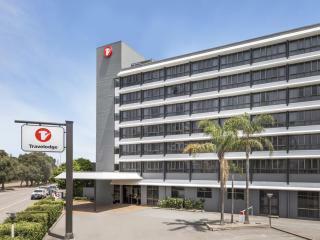 Home to a convenient range of onsite facilities, the hotel is within minutes of Nobbys Head Beach and Queens Wharf and is close to local shopping, dining and attractions. The hotel is also less than an hour's drive from the famous Hunter Valley wine region. Ideally located on the foreshore of Newcastle's harbour, Harbourside Terraces offer a range of well-appointed, self-catering apartment accommodation that is designed to be your home away from home. Boasting an excellent range of onsite conveniences, the apartments are just a short stroll from a range of trendy local shopping and dining as well as historic sites such as Fort Scratchley and the Ocean Baths and natural attractions such as Blackbutt Reserve. Offering comfortable, contemporary accommodation within minutes of the city's heritage landmarks and famous beaches, Honeysuckle Executive Apartments is situated in the renowned Honeysuckle precinct and enjoys a great range of onsite facilities. Close to the trendy area of Darby Street, the resort is within walking distance of a range of boutique shops, art galleries, trendy cafes, unique restaurants, the historic Civic Theatre and much more. Hotel Ibis Newcastle is in the heart of the city, within easy walking distance of the Regional Museum, Art Gallery and Civic Theatre. 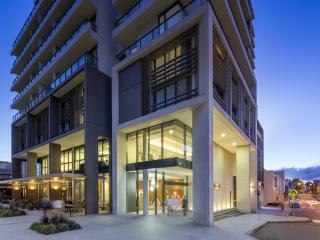 Guests also have easy access to the many boutiques, restaurants, nightclubs and the popular Queen's Wharf and Honeysuckle foreshore precinct. Novotel Newcastle Beach is situated on Newcastle Beach just 2 hours drive from Sydney. This Newcastle accommodation is within walking distance to the beach, shops, restaurants, cafes, jogging tracks and recreational facilities. The hotel offers a range of studio rooms to choose from with a variety of outlooks including views of Newcastle Beach. Novotel Newcastle Beach offers an on site restaurant and bar, gym, spa and car parking. Offering the only oceanfront accommodation in Newcastle, Quality Hotel NOAH'S On The Beach is ideally located in Newcastle East opposite Newcastle Beach and bordered by the Pacific Ocean and Newcastle Harbour foreshore. Offering comfortable accommodation and a convenient range of onsite facilities, the hotel is within walking distance of the historic Fort Scratchley and just minutes from Nobby's Lighthouse, Nobbys Head Beach and Newcastle Port. Located only 300m from the waterfront, Quest Newcastle offers self-catering accommodation in the centre of town. Boasting a convenient range of onsite facilities, the hotel is just minutes from the airport and public transport and is surrounded by a variety of local shops, bars, cafes, restaurants and entertainment options. Close to the Ocean Baths, Civic Theatre and waterfront boardwalk, the hotel is also a short distance from Newcastle's famous beaches and the Hunter Valley wine region. Rydges Newcastle is set amongst the historical maritime buildings of the Honeysuckle Precinct, a major waterfront rejuvenation project transforming Newcastle. Take a walk along the harbour foreshore, visit the Newcastle Yacht Club or watch as the fishing fleet sails out before dusk. Cruise the harbour or hire a kayak and explore the Hunter River. The Seafood Cooperative offers the freshest local seafood and the Honeysuckle Markets are handy for a Sunday shopping stroll. Newcastle offers something for everyone - from brilliant beaches and a fabulous coastline, to a beautiful foreshore with a great array of restaurants, bars and cafes. Travelodge Newcastle is also the ideal stopover on your way to the Hunter Valley Wine Region or the waterways of Port Stephens. Travelodge Newcastle is located right in the heart of Newcastle and offers guests a choice hotel rooms. Facilities include a swimming pool, café and bar, 24 hour reception and conference and meeting facilities.